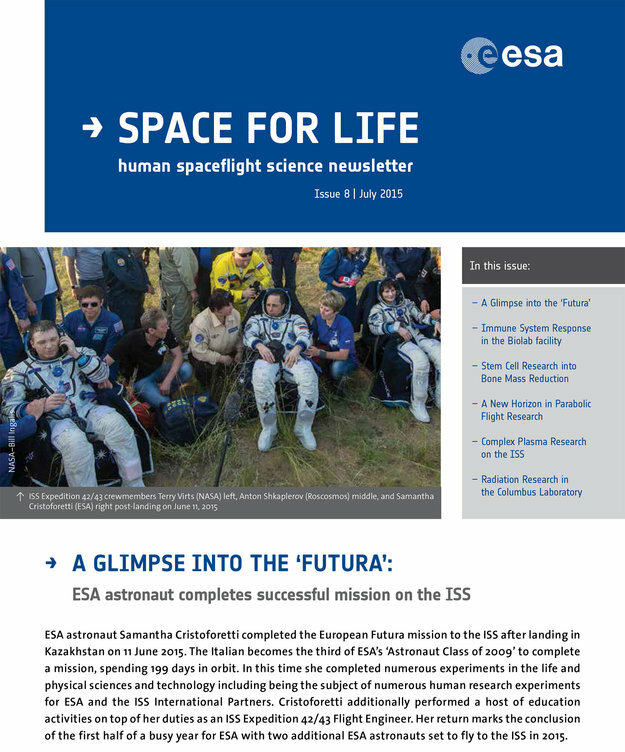 The Human Spaceflight science newsletter gives a condensed, easy-to-read account of the Directorate's scientific activities. The newsletter is distributed via mailing list as PDF. The newsletter offers easy navigation of the news items through internal hyperlinks. Newsletters are published on a regular basis.